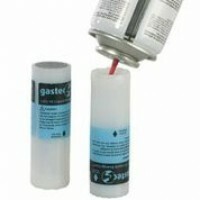 Replacement or spare BLUE gas refill cartridges for the Gas-Tec 600 glue gun These are the Tec Le.. 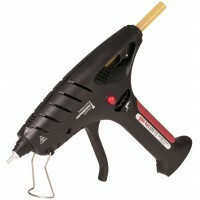 The GAS-TEC 600 is a robust compact portable cordless gas glue gun that runs on butane gas..
5.0/5.0 Based on 38 reviews. Need to glue on the move? No problem, try a cordless glue gun for cord-free convenience. Suitable for use with Tecbond 12mm glue sticks . Need more information? Check out our FAQs about cordless glue guns below. How do cordless glue guns work? 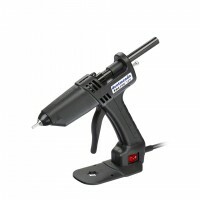 Cordless glue guns are powered either by butane gas or a rechargeable battery. This provides the user with more flexibility and freedom of movement as they aren't limited by the length of a wire or placement of power sockets. This makes them perfect for use on sites with no mains power. How long does a full cartridge of butane gas work for? One cartridge of gas will keep a cordless glue gun working for approximately 90 minutes. The cartridges are reusable, so there's no need to throw them away and order more! Just refill with butane gas and insert back into the tool.